This video was created by an amazing team of people that won’t let the voices of innocent civilians who are being killed in Damascus, be silenced by western mainstream media! Thank you Sarah. Something real to counter the all too general, terrorist inspired rubbish propagated about this situation. and the media in the U.S. doesn’t ever show the genocide against the Syrian people, but they repeat the neo-con bull and show the rest of the world what a joke American so-called ‘news’ shows are about. and other diversions the media gives you to keep you from seeing what is out there that’s really happening. Great video. Seems like the US and others are still intent on regime change in Syria. Thank god Russia and Iran are standing up to them, along with some Syrians. Given all the US meddling in the Middle East and elsewhere, I am almost embarassed to be an American. 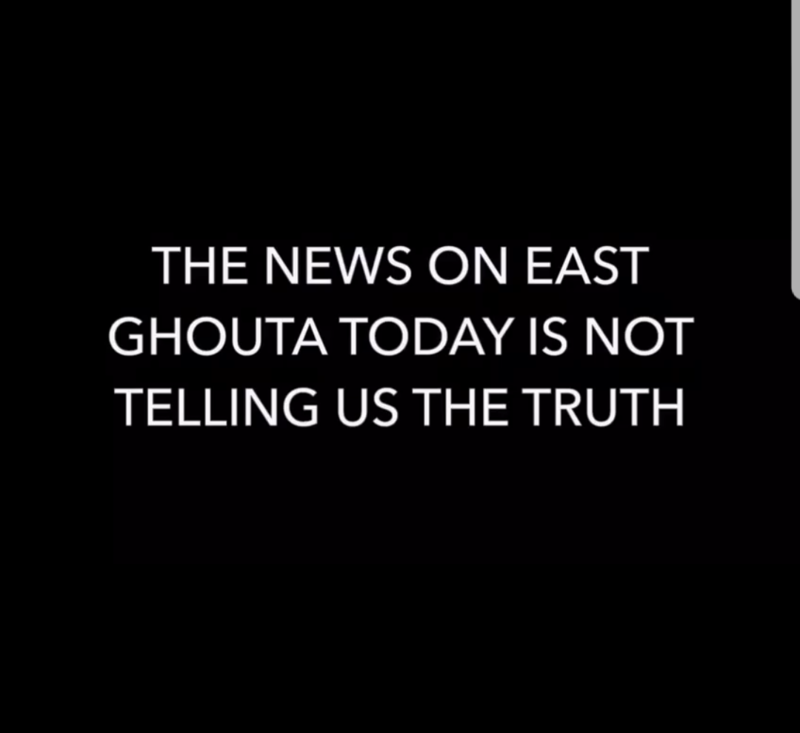 Great vid of the simple truth in East-Ghouta: criminal terrorists, bombing Damascenes.